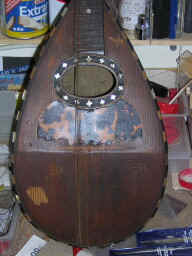 As a hobby, I have been involved in restoring old instruments, most of them mandolins, which I have recorded photographically. They have tended to be instruments that are of no significant monetary or historical value, though some were of great sentimental value to their owners. 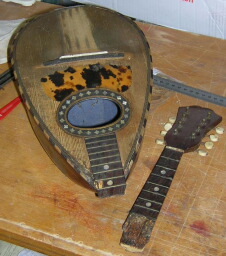 Hence these instruments were unlikely to see the insides of a professional luthier workshop. This hobby has now become almost a full time passion!!! When I restore an instrument, I hope always to be able to bring it back to playability, thus, as one local luthier put it..... '......giving it back its soul'. 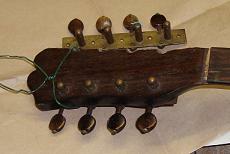 ....how to diagnose what needs doing to your recently acquired or heirloom instrument. How serious is it? How hard to do? How expensive? Where can you get bits? Can you do it yourself? Back: separation of back panels, back from sides and damage. Table: splits and deformations. 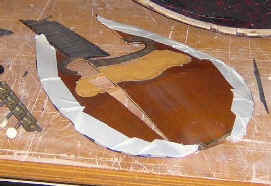 Head: snapped joins, split heads and veneers. Finish: varnish, French polish and dyes. 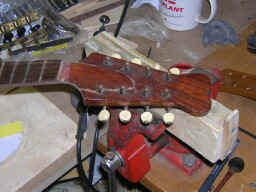 Neck: warping, cracks, breaks and seating. 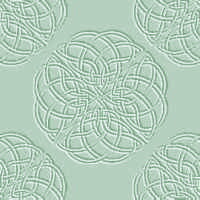 Inlay: edging, decoration and position markers. Tuners: cleaning, repair, sizes, buttons. 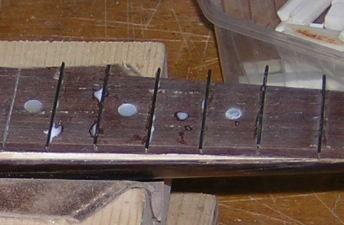 Frets: re-fretting and levelling frets. 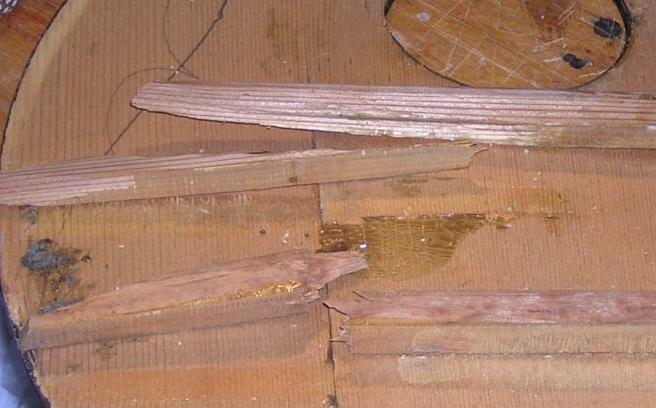 Fingerboards: shims and new boards. Veneer: renewing damaged head and neck veneer. Struts: broken, loose, too long, missing. Structural Failure: problems caused by shrinkage or string tension.